The Under the Pink world tour began on February 24, 1994 in England and concluded on December 13 in Australia and represented 177 shows. 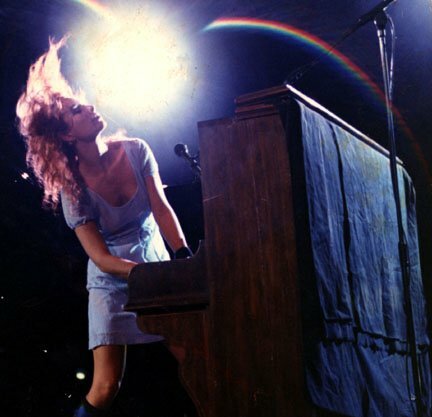 Tori toured with a Bösendorfer Grand Piano and a prepared upright piano she played exclusively for “Bells for Her.” She usually sang 21 or 22 songs per show during the tour, although some shows were shorter. Like for the Little Earthquakes tour, she regularly sang covers, “Smells Like Teen Spirit” and “A Case of You” being the most popular. With 177 shows in less than eight months, this tour was particularly exhausting for Tori, who even left the Madison concert on October 4 in an ambulance after feeling severe chest pains and having restricted breathing. The condition was called Costocondritis, but although doctors advised Tori to cancel the thirty shows she still had to do, she decided to go on with her schedule and took anti-inflamatory medication for several weeks. This tour was also emotionnally hard on her as her and longtime partner Eric Rosse broke up in the middle of the tour. But soon enough, Tori felt in love with her new sound engineer, Mark Hawley, who had joined her crew for the tour with his collegue Marcel van Limbeek, and the two of them were together by the end of the tour.